I have really loved Karen's pregnancy workout class. She brings a great amount of supportive energy to the women that she works with in the class and a lot of encouragement for birthing in a natural way. The class provides a basis of stretching and muscle building that are well suited to growing moms. And the classroom looks out onto a beautiful garden which is relaxing and rejuvenating at the same time. I hope to continue to work with Karen after the birth of my baby. Due to Karen’s pregnancy workout I got rid of the constant lower back pain that I experienced since the 6th month of my pregnancy. 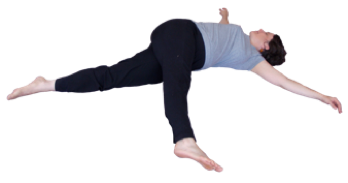 I learned belly-breathing and stretching and strengthened my abdominal muscles in preparation for birth. Karen very flexibly customizes the exercises to her individual clients needs. She is full of good advice, warmth and humor, which made working out a lot of fun. © 2019 Massage Practice | Berkeley, CA - Body Work By Karen Casino. All Rights Reserved.